Are you looking for a way to give your North Shore home a fresh start for the new year, while still maintaining a recession-friendly approach? Perhaps you’re hoping to sell your home in the next twelve months and realize it needs a few updates and an overall rejuvenated feel. Recently, Remodeling Magazine came out with their yearly Cost vs. Value report in which they give national averages of remodeling projects and their resale value. Using these statistics, Realtor.org posted an article about the Top 10 Low Cost, High Return projects. The Top 10 are listed below, but for further insight you can check out Realtor.org article. Hopefully these tips will be useful as you look at ways to freshen up your home! If you are planning to sell your home, but don’t know where to start- I can help! I’d enjoy the opportunity to talk with you and discuss any question you may have about today’s market. If you’re not yet a North Shore resident, but are searching for the perfect home- I can assist you as well! I have a number of beautiful homes and can make the home buying process an enjoyable experience. Contact me today! Take Advantage of Early Voting in Chicago's North Shore! One of the many things residents love about Chicago’s North Shore is that the weather is sure to keep you on your toes! If you’re already thinking ahead to February 2, which marks the Primary Elections in Chicago, perhaps you’d rather take a nice, sunny day to head out to the polls. After all, you never know what the weather will hold for the “official” day of voting. For the past four years, Chicago residents have been taking advantage of the option for early voting. Beginning January 11 and ending on January 28, 2010, one can cast their vote at their leisure. There are hopes that this will boost participation in the U.S. Senate, gubernatorial and county race elections. If you’re not currently a resident of the North Shore but are looking for a new and exciting place to live; check out some of these beautiful options! I thoroughly enjoy not only living in this area, but showing people all that Chicago’s North Shore has to offer! Feel free to contact me today and begin finding the home of your dreams! 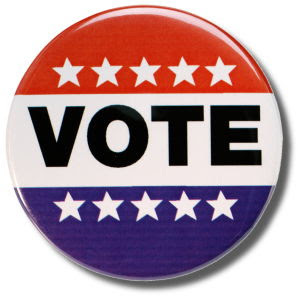 Click here for a complete list of Cook County Early Voting Locations. It may seem the best thing to do during Chicago's North Shore winters is to stay in and stay warm, but even if you're not a "winter person" there are still many reasons to get out and enjoy the season! The North Shore is full of beautiful parks and outdoor recreational opportunities to help you continue to enjoy all the North Shore communities have to offer year-round. 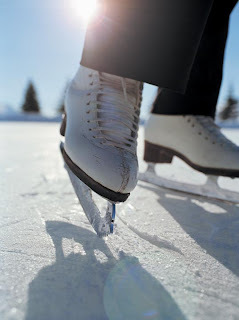 Take ice skating for instance, it's a fun way to experience the cool, crisp days while getting in a little exercise and enjoying family and friends. Be sure to check out this North Shore Ice Skating Venue. Whether you enjoy ice skating or would rather take advantage of indoor entertainment during the winter months- Chicago's North Shore has plenty to offer! If you are looking for a wonderful community to call home, let me know! I would be happy to answer any questions you may have or show you around the area. I look forward to helping you with all of your real estate needs! The beginning of a New Year is an exciting time with endless possibilities for the year to come! We’ve recently welcomed in 2010 and it seems that this year has much to offer. If you are looking to buy the home you’ve always wanted or to sell your current home- NOW is the ideal time! You may be leery of jumping into the market at this point, but let’s take a look at why this is the perfect time to do so. Currently, mortgage rates are at an all time low. Since the market has been slower due to the economic state, banks are willing to offer these amazing rates to keep the housing market on the move. This helps both buyers and sellers in the following ways. The recent tax credit extension and expansion has allowed more people to cash in on this great offer. Not only are first time home buyers offered up to $8,000 towards the purchase of their home, but current home owners now have incentive to buy. Those whom have owned their current residence for at least five years are eligible for up to $6,500 in tax credit towards a new home. Buyers in either group have until April 30, 2010 to sign a purchase agreement and must close by June 30, 2010. The real estate market will continue to swell with those who want to take advantage of the low mortgage rates and tax credit. With this surge of motivated buyers who want to make the tax credit deadline, the demand for homes will increase as well. These factors, and the talk of the government not offering another tax credit makes this year an opportune time to sell your home. If you’re interested in learning more about the tax credit or have questions concerning buying or selling your home- please contact me! I’d enjoy the opportunity to help you with your home search or sale and help make 2010 a great year!